For months now, I’m just haven’t been using all the cellular data I’m paying for. I write about prepaid wireless on smartphonematters.com and create videos for this YouTube channel telling you guys to pick a plan that meets your needs while I’m still paying for data I don’t use. Part of it is that many of my smartphonematters.com readers ask questions about Straight Talk, so I have kept in so I can keep writing about it. Also I have been really busy recently, and I just haven’t gotten the timing right switching from Straight Talk to another prepaid wireless company or changing plans. When you change plans, you don’t don’t want to leave your current plan too early during your current refill as you have already paid for that service. And you don’t want to wait until the last day of your plan in case their is a problem transferring your number. You need your account to be active when transferring your number and if for some reason there is a problem with your number transfer, you don’t want to have to renew your current plan to keep it active while waiting for the transfer. For the last few months, my timing has been wrong. I realize my plan is going to renew in a day and then decide not to transfer because I’d really like to do it with two or three days left on the plan. 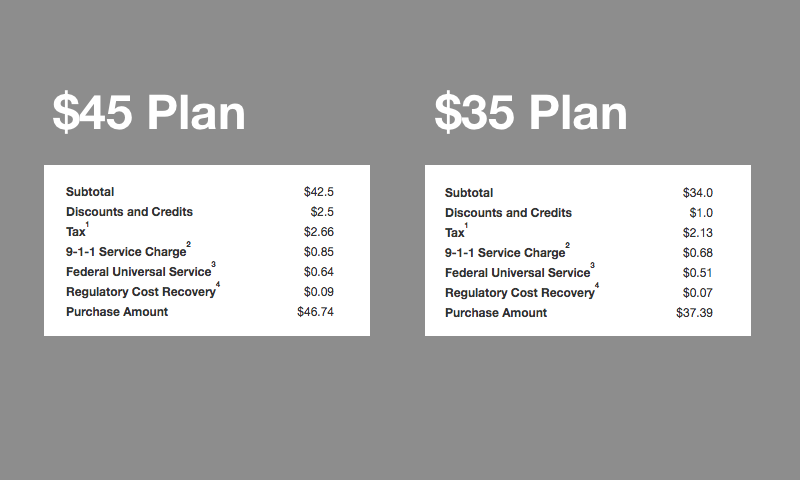 So this month, I took the easiest possible step, I switched from Straight Talk’s $45 8GB plan to their $35 plan. My monthly bill dropped from $46.74 to $37.39. I’m saving $9.35 per month or $112.20 per year. That’s enough to pay for an additional 3 months of service on the $35 plan. The plan change was simple, I did it from my online account on straighttalk.com. So I now have 2 GB of high speed data instead of 8 GB. I doubt I’ll even use 2 GB of data per month. I’m not sure I am going to stay on this plan though, as I’d like to spend less per month but stay on the AT&T network. I was and still am consider AT&T Prepaid at $30 per month for unlimited talk, text, and 1GB of data. 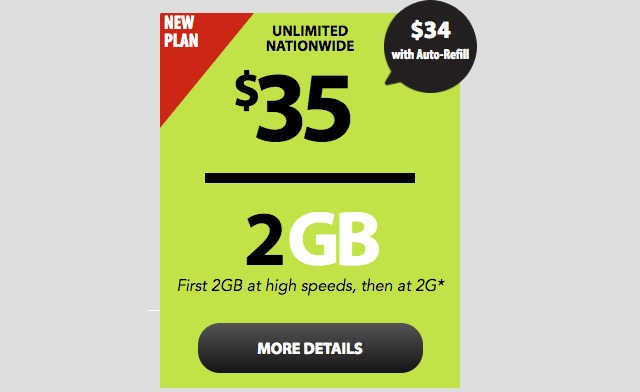 Also Net10’s $35 2GB plan drops to $31.50 on auto refill for a savings of $3.50 compared to the $1 discount offered by Straight Talk. I used Net10 before and the service was identical to Straight Talk. I have also considered Total Wireless which uses the Verizon network and even switching to Sprint with their excellent free promotion. There are many options out there as prepaid wireless plans are getting very competitive. So for next 30 days at least I’ll be on the Straight Talk $35 plan. What about you? Are you using all the talk, text, and minutes you are paying for?